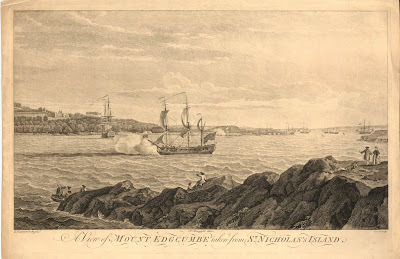 "View of Mount Edgcumbe, Taken from St. Nicholas's Island," engraved by Pierre Charles Canot after Samuel Scott, 1755, British Museum. "View of Mount Edgcumbe, Taken from St. Nicholas's Island," engraved by Pierre Charles Canot after Samuel Scott, 1755, Government Art Collection. Taken from the series Five views of and from Mount Edgcumbe, Plymouth. 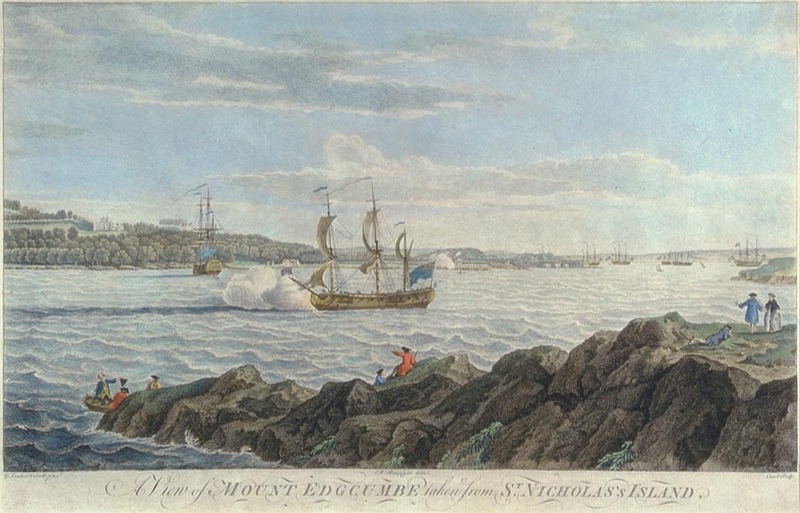 Mount Edgcumbe is the former palatial estate of a noble family. Their stately manor is now open to the public as a museum. 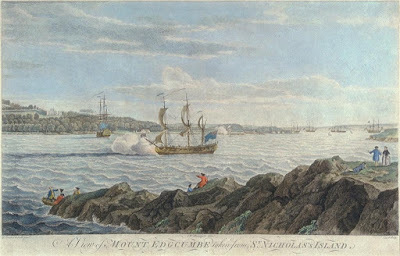 Canot's engraving depicts ships in the river, with one man-of-war giving a salute. 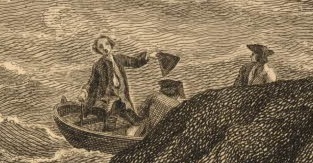 A pair of watermen or mariners are shoving off from the shore, taking a jovial gentleman out in their small boat. Both of the men wear cocked hats with the point forward and bob style hair or wigs. One wears a red jacket, the other yellow. 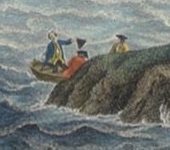 The man with his back to us (sitting amidships) give a peak or the trousers or slops/petticoat trousers through the vent in his double or triple vented jacket.